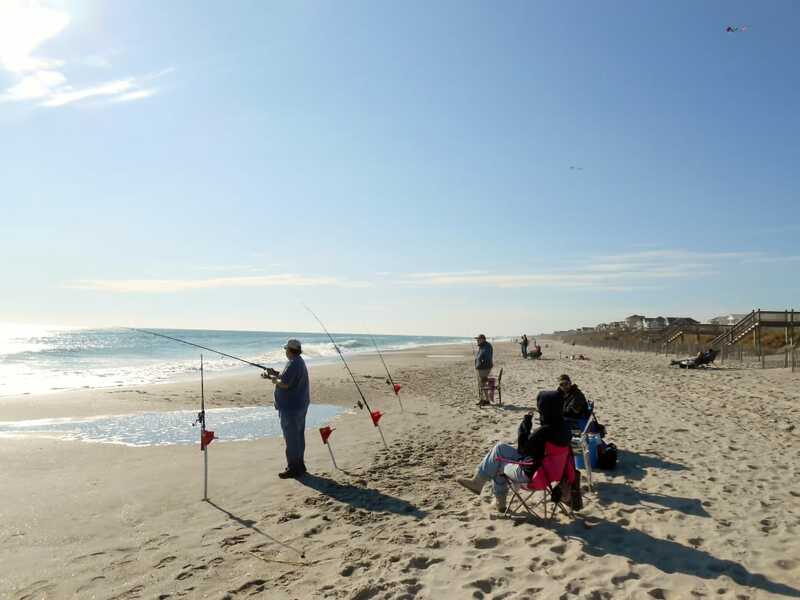 Springtime means warmer weather and warmer waters along the Crystal Coast of North Carolina, which means more comfortable weather for fishing and plenty of fish to be found! The Crystal Coast is an 85-mile stretch of pristine coastline along North Carolina’s central coast, just north of Wilmington and at the southernmost tip of the Outer Banks. Aside from being one of the most wildly beautiful barrier island systems on the planet, this particular strip of shoreline is graced with year-round fishing conditions comparable to what you’d find much further south along the Atlantic coast of Florida. This is mostly due to the fact that the Gulf Stream flows closer to shore along the Crystal Coast than it does anywhere else in the Carolinas, bringing crystal clear, warm water and with it an abundant array of marine life. The fishing community here is passionate and welcoming, and with warmer weather in the near future, locals are anxious to hit the water in search of the seasonal bounty spring brings to the area. As one would expect with such a thriving fishery, you’ve got options. From deep-sea charters to inshore fly fishing trips, you can spend a week along the Crystal Coast and fish a different way each day. In the spring, inshore redfish trips, like those guided by WaterDog Guide Service, are moved to the top of the list, with perfect conditions for sight casting redfish on tidal flats. If you’re a fly angler and have never experienced the tug of a redfish or black drum on the end of your leader, prepare to fall in love with the sport all over again. Fishing inshore offers the best of both worlds—you still get to fish saltwater, but the experience is more akin to pheasant hunting or fishing a still lake, believe it or not. There’s nothing like pulling up to a calm grass flat on an incoming flood tide under a fiery sunset over the Atlantic, poling the boat through a field of Spartina grass as quietly as possible, spotting a feeding redfish’s tail sticking out of the water and placing your fly in front of the hungry fish’s face. It’s the perfect marriage of hunting and fishing. 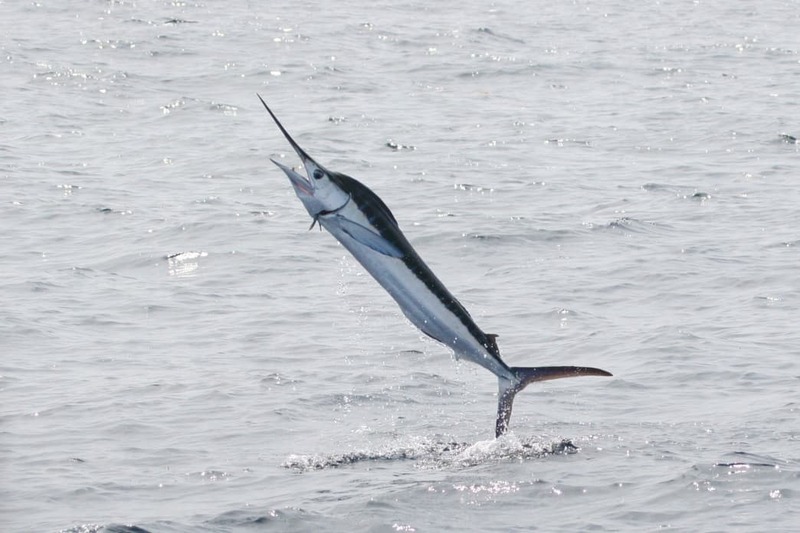 Though inshore fishing is most common in the fall, the Crystal Coast’s proximity to the Gulf Stream offers the best false albacore and bluefin tuna fishing in the Carolinas. There is no shortage of deep sea charters available along the Crystal Coast, all with crews eager to put you on the fish of a lifetime. Fishing offshore along the Crystal Coast is particularly beneficial to beginners or those that do not spend a lot of time out at sea. You do not have to travel far at all to reach the Gulf Stream, and if you go out on a calm day, you’re less likely to feel sea-sick. For more information about deep sea charters, contact Emerald Isle Adventures. If you’re not interested in chartering a boat but still want to fish, the Crystal Coast has you covered on that spectrum, as well. Head over to Fort Macon State Park with a chair, some tunes and your rod, pull up some prime real estate on the beach, and cast into the surf as the sun goes down over the water. The area has two major options for pier fishing: You'll find the 1,000-foot long Oceanana Pier at Atlantic Beach. You can rent a rod and reel plus buy bait on the pier. And there's a bar and restaurant where you can relax and tell your fish stories at the end of the day. In Emerald Isle, the Bogue Inlet Pier underwent major renovations this off-season, including a new pier house. You can try to reel in the big fish at the end of the pier (the largest in 2016 was a 128-pound tarpon) or go bottom fishing closer to the shore, catching puppy/red drum, spot, and other smaller fish. It, too, has restaurant and bar, which was renovated this year as well. 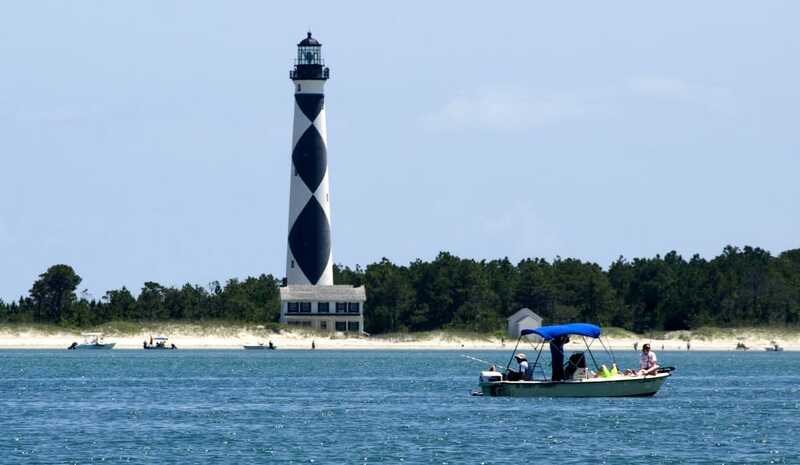 Another fun option is to rent a kayak from AB Watersports Adventures and paddle just offshore of the beach, or inshore around Harkers Island. Expect to catch your fill of sea trout, flounder, redfish, and sheepshead on conventional rods and reels, or if you want to brave the open ocean with your heavier rig, you can paddle out to one of the 2,000 shipwrecks along the Crystal Coast and fish for grouper, wreckfish and triggerfish. Spring is an incredible time of year along the Crystal Coast. The weather, scenery and lively coastal community come together to create one of the most pleasant places in along the eastern seaboard. If you have the opportunity to visit this part of the Carolinas during the spring, don’t forget your rod. Written by Logan Waddell for RootsRated in partnership with Crystal Coast NC.